Samsung said it expects to ship 10 million Galaxy S III smartphones by the end of July. The phone went on sale in the U.S. last week, it was available in Europe since late May, and began shipping in South Korea Monday, Reuters reports. The company expects its latest iPhone rival to be the fastest-selling smartphone it has ever produced. Samsung does not disclose sales figures to consumers, like Apple, so the company is referring to 10 million shipments to carriers, not people. By the end of July, when Samsung expects to hit the milestone, the Galaxy S III should be on sale from nearly 300 mobile carriers around the world – including the top four U.S. networks. More than 50 million units of previous Galaxy S models were sold globally in the past two years. It doesn’t look like Samsung will have trouble reaching the milestone sales for the S III, despite the company quoting some component supply issues that affected availability by now. Prior to release, Samsung said more than 100 carriers placed 9 million pre-orders globally. In the U.S. the phone arrived to glooming reviews, living up to the hype and being called the Android phone to beat. 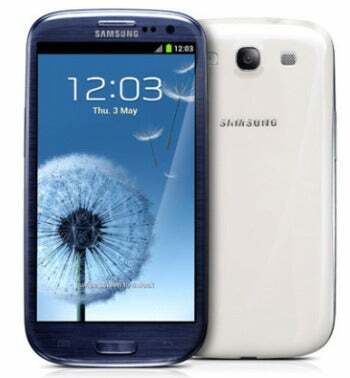 To refresh your memory, the Samsung Galaxy S III has a 4.8-inch screen with a resolution of 1280 pixels by 720 pixels, an 8MP camera with 1080p video-capture capability and starts at $200 with a two-year contract for the 16GB model. In the Android market, the S III’s closest competitor would be HTC One X, which features similar specifications, but uses HTC’s Sense UI on top of Android 4.0, whereas reviewers found Samsung’s TouchWiz UI quite bloated. In a welcomed twist, the U.S. version of the Galaxy S III won’t look different or sports other names varying by carrier, as it was the case with previous models. So, whether you are buying from AT&T, Sprint, T-Mobile or Verizon, the phone will look the same, so it’s just a case of picking your favorite network, storage capacity and pricing plan.